The Sailing Angels Foundation is a 501(c)(3) non-profit charitable organization, based in the Greater Houston area. 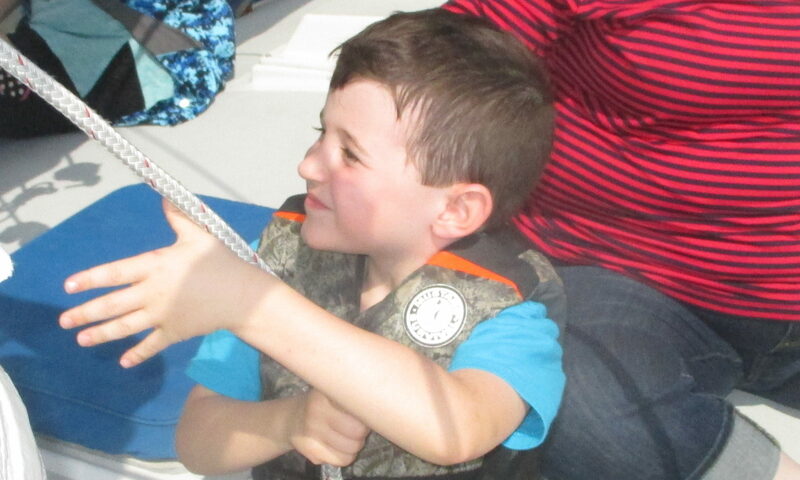 As an opportunity for education and recreational therapy, we introduce the joy of sailing to special children with cognitive, physical or emotional needs or chronic illnesses. Also invited are wounded warriors and military veterans. We encourage the family unit to come. The special participants are encouraged to work on the boat to the best of their abilities. Results of this unique ‘hydro-therapy’ can be seen on their happy faces. This is frequently a positive life-changing experience for them … and their families, and those of us who serve them! 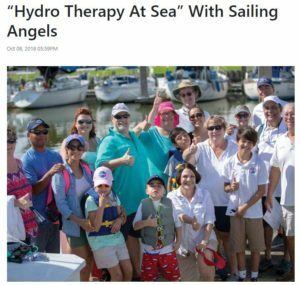 Click the picture on the right to read more about “Hydro Therapy At Sea”, a recent article in The Scene Live periodical. Use the general registration page to sign up for an upcoming adventure. Use the contact page to address your questions, express interest about volunteering or donating, or to sign up for our newsletter. To look at our recent newsletter please click here. Thanks to everyone who was involved in the Heroes Cruise, supporting our Veterans, First Responders, and their families. We had 250 participants on 40 boats with 70 volunteers! Below is a link to a video of the event. BIC Media Solutions, in association with film and video production company Provicom, will be producing a 30-minute TV show of the Heroes Cruise and featuring Sailing Angels. Provicom provides a regional broadcast lifestyle television series: The Leisure Connection, a television show that showcases the best in lifestyle experiences, locations, and events that friends and family can enjoy together. CLICK HERE FOR MORE INFORMATION. Salute To Heroes from Rising Tide New Media on Vimeo. Error: Error validating access token: Session has expired on Wednesday, 20-Feb-19 07:29:58 PST. The current time is Sunday, 21-Apr-19 19:01:45 PDT.